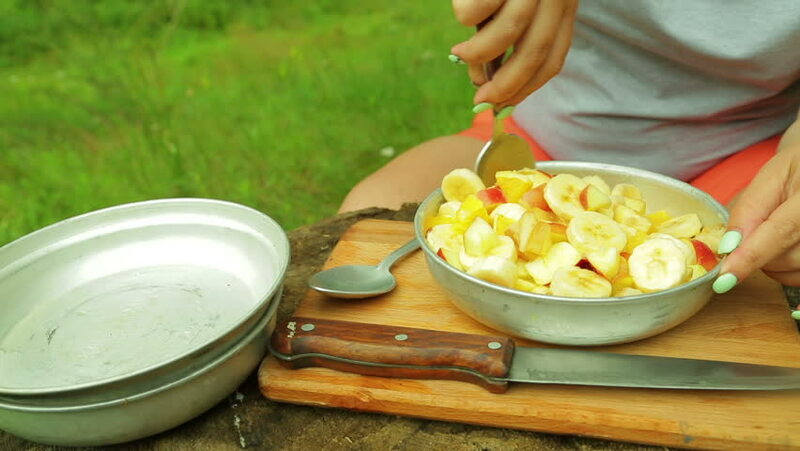 A woman stirs a fruit salad with a spoon. hd00:21Cutting out Autumn leafs with cookie stamper to decorate pumpkin pie. hd00:07Cutting out Autumn leafs with cookie stamper to decorate pumpkin pie.